Our electrical supplies department has a range of electrical equipment such as extension leads and plug sockets. For when something electrical suddenly breaks and you need to fix it tomorrow you will find a range of electrical product here with next day UK delivery. Part of a huge range of repair and maintenance products online, Pattersons Cleaning Supplies stock everything you need to maintain your business. Find more maintenance products here to keep your premises in tip top condition. 2 Core Orange Flexible Mains Cable Pack. Tourist Adaptor For Overseas Visitors To The UK. 4 Gang Extension Lead, 2m 13amp. Jo Jo Cable Reel, 10m 4SKT 10amp. 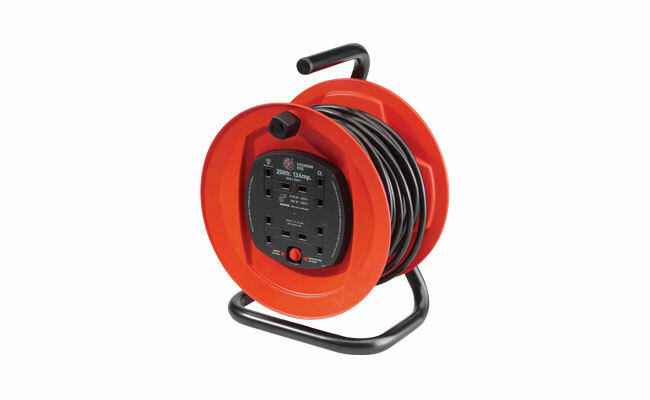 Jo Jo Cable Reel, 15m 4SKT 10amp. Jo Jo Cable Reel, 25m 4SKT 13amp. Jo Jo Cable Reel, 30m RCD 4SKT 13amp. Jo Jo 4 Socket Heavy Duty Individually Switched Lead. Extension Lead 4 Gang x 2m Anti-surge & Spike.